The NFC & RFID Expansion brings contact-less RFID and NFC communication to the Omega ecosystem. It supports reading and writing with several NDC and RFID protocols at 13.56 MHz. The Expansion is based on the popular PN532 NFC Chip and communicates with the Omega via UART1. This will install the nfc-utils package, which contains several command line programs based on the libnfc library for interacting with NFC devices. See the libnfc wiki for more info. These programs can be accessed from the command line and are used to control the RFID & NFC Expansion. For a print-out of the command’s usage, run it with just an ‘-h’ argument. To scan an RFID/NFC Tag, you can use the nfc-list utility. This tool scans for any available tags and prints the results. If no tags are found, it will just exit. The ATQA and SAK indicate the manufacturer and tag type, and UID is the Unique Identification Number. This is important! Since each tag has a unique ID, this value can be used for recognizing certain cards! Mifare Ultralight Cards are very useful for high volume applications. They are loaded with 64 Bytes of EEPROM Memory, including 4 bytes of One Time Programmable Memory where the individual bits can be written but not erased and 48 Bytes of User Defined Data. Ultralight cards can be also set to “read-only” using Lock-Bytes. nfc-mfultralight program is used to configure the Mifare Ultralight type cards. You can read from the tag and write to it. Mifare Classic cards are loaded with either 1KB or 4K of EEPROM memory. Each card has its own UID, Block Check Character (BCC), Access Condition with two keys (A and B) and blocks of user data that can be configured with different access condition. Each Block is 16 bytes. A Sector holds 4 Blocks, so 64 bytes in total. One block in each sector holds the two keys (A and B), as well as the Access Control Settings that define the privileges (read, write, neither, both) each key for that sector. The very first sector of a tag starts with a block of card identification data that cannot be overwritten, then 2 programmable blocks, and the key block. All the rest of the sectors are made up of 3 programmable blocks and a key block. We’ll be using the nfc-mfclassic program is used to interact with Mifare Classic cards. You can read from/write to the tag, wipe the card and modify the keys. The card has been read and then stored in a file called mycard.mfd using key A. Now, the .mfd binary file has been saved in your filesystem. This file is populated with a binary content that is difficult to understand. So we’ll be using the xxd utility to convert it to a more readable hex format. The first 4 lines represent first Sector. The very first block of that Sector holds the card identification data, including the UID, BCC, and other Manufacturer Data. In this case the UID of this card is 70e2f773, BCC is 16, ATQA is 8804 and the rest is the manufacturer data. Every sector has it’s own Keys and Access points stored at the last block of each sector. Now the card contains updated data! 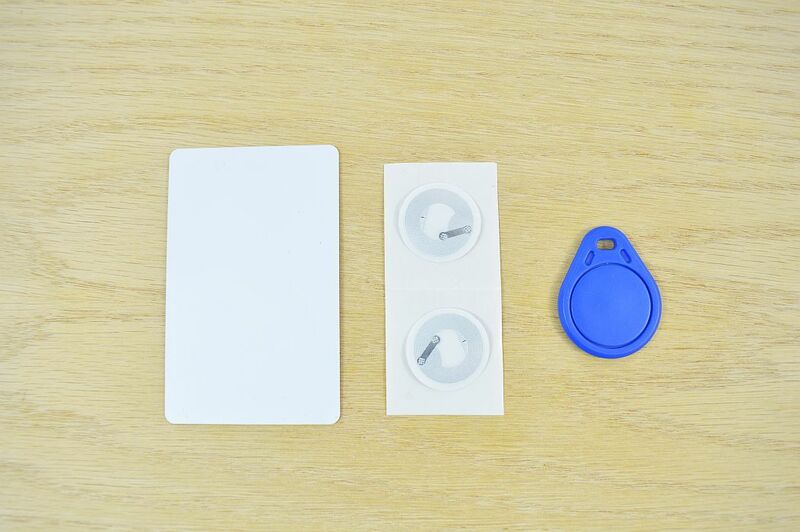 The mifare-classic-read-ndef is the utility to read the card and store it in a NDEF format. In general, NDEF is the abbreviation for NFS Data Exchange Format. That format is used to store and exchange data (e.g. text messages, site’s URLs, passwords, etc) in a plain text format. Found Mifare Classic 1k with UID 10ebf773. MAD stands for Mifare Application Directory and it indicates the sector that contains NDEF record. If there is no NDEF data written yet, there is nothing to read from. So let’s write something to the card. NDEF file is 13 bytes long. Now you can see the content of the readfile.txt and compare it to the file.txt. In order to format the card data (remove all user data), the mifare-classic-format command will be used. Make sure to save/backup all the data stored on the card if needed as this operation cannot be reverted. From this, you can see that the Expansion is up and running under /dev/ttyS1. You will be presented with the black blank screen. To stop the process, hit Ctrl + a + k and at the following prompt Really kill this window [y/n] hit y. This will stop the process and will allow you to continue the expansion.